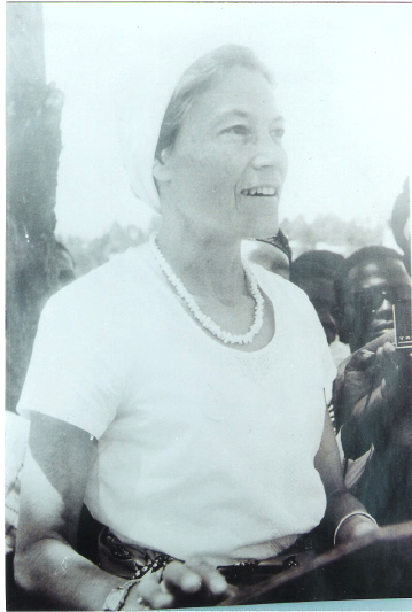 The development of women in the Presbyterian Church in Cameroon (PCC) inparticular and the country Cameroon in general can be traced back to the coming of the missionares with the Gospel of Christ alongside the education of Cameroonians aimed at raising helpers to evangelise as well as serve the colonial government. The Churches were the first medium of this education. At first, stress was on educating boys as parents were reluctant to send girls to school. As the missionaries came with their wives these women wherever stationed, gathered other women in their communities to teach them a few home care lessons and Bible stories depending on their interest at the time. It became necessary to give women inparticular some training besides the general evangelisation through the Gospel. It is in the light this that the Women's Work Department was created. First to meet the needs of the Christian woman in the Presbyterian Church then the Cameroonian woman as a whole. Thus, in order to consolidate their work and increase outreach activities for a greater impact, this department formed branches called the provincial offices based in Kumba, Bamenda, and Litoral. A Marriage Training Centre Bafut. This school opened its doors in 1959. Today, it is called, Presbyterian Girls School of Science and Technology (PGSST) Bafut. 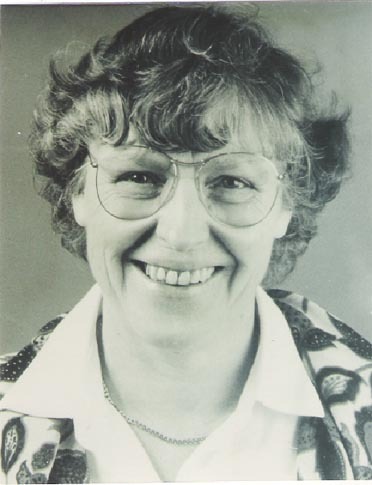 Still in 1961, Na Lina Weber opened a Women Teacher Training College (WTTC) Mankon. A Centre for Women's Work was established in Fotabe - Mamfe in 1953. Another Centre for Women's Work was was opened in Tali in 1957 . All this and the many Bible Study groups that developed, marked the humble beginings of the WWD. The cross rooted in the Bible (The Word Of God) Alpha and Omega. The aim of this institution is to encourage Christain women of the Presbyterian Church in Cameroon (PCC) to serve the Lord Jesus Christ whole heartedly at home, in the congregation and in the community. The mission of the Women's Work Department (WWD) is to lead Christian women and girls to serve the Lord wholeheartedly and to bring out positive changes in all areas of life: at home, in congregation and communities and beyond. This mission will be achieved through continuous evangelisation, education, training and strengthening of their capacities spiritually, socially and economically. All this is done under the guidance of the values and norms of the Presbyterian Church in Caneroon and the policy of the Cameroon government. To intensively evangelise to women and girls leading to an improvement in their spiritual and socio economic life. To improve on the statusquo of the woman, family life and society; to strengthen women spiritually, socially and economically thus empowering women to face the challenges of life in all domains. The Women's Department of the prebyterian Church in Cameroon dates back at the arrival of the early missionaries. However, the department became statutory only in 1961 when the Constitution became operational. Its foundation in 1961 was chapioned by Missionaries such as Fraternal Worker, Maria Schlenker and Sister Rose Marie Peter. Other early Missionaries included, Sr. Anni Maurer, Sr. Marie Ringli and Anna Frank. Bellow are photographs of the Secretaries who have sholdered the affairs of the Women's Work Department to date. This is the cell of the Department. At least ten members of a congregation can start a group. In the PCC, we have 936 groups over the whole territory of Cameroon. Groups within a specified area make up the Zonal fellowship. They have an executive that strengthens the groups and reports to the Presbytery executive. This is constituted by all congregational groups and Zonal set ups within a Church Presbytery. 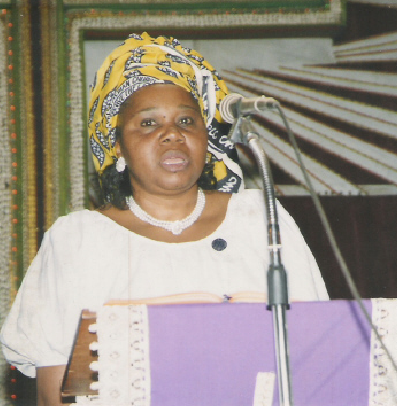 The WWD of the Presbyterian Church in Cameroon operates under theree provinces. Each province is coordinated by the Provincial Office for Women's Work. The Office is headed by a Provincial Secretary who is a full time employee of the PCC. The entire Department is coordinated by the National Office. This office is responsible for the production of Study material for the groups, alongside the education and training of members.